First, we pay homage, “I prostrate to the venerable lamas.” If you have the desire to practise the Dharma, listen to these words. This precious human rebirth that can fulfil great purposes is difficult to obtain and can easily be lost as the time of death is uncertain. Nothing else except the Dharma can benefit us in our future lives. There is no point in just listening to the words – you must put them into practice. Don’t you regret all the precious time that you have already wasted in this life? Having accumulated so many negativities, you will be reborn in the lower realms. Once born there, it will be difficult for you to endure the inexpressible sufferings there. If you want to practise the Dharma, you have to do it now. You are now sitting on the border between happiness and suffering. If you only accumulate negativities, you are opening the door to the lower realms. If that happens, it is not due to the fault of external demons or spirits. When you live your life according to and not against the law of cause and effect, then taking refuge in the Three Jewels will be an infallible source of protection. From now on, go for refuge from your heart to the Three Jewels. From now on, whatever you do, let karma be your witness. If you knowingly jump over the cliff and expect someone to pull you up again, that is a vain hope. Renunciation, bodhicitta and the correct view are the essence of all the scriptures of the Conqueror. The essence of the above advice is that if one knowingly accumulates negativities, that can only result in rebirth in the lower realms. Once there, we will find the suffering unbearable. Despite knowing this, we continue to hope that the Triple Gem will protect us by making prayers, “May I be reborn in Sukhavati, the Pure Land of Amitabha.” This is wishful thinking. Having taken a human rebirth, all the favourable conditions are assembled now and it is important to place as many imprints as possible in our mental continua. From this very moment, we should try to make sure that virtuous imprints are placed in our minds. If we are unable to meditate and unable to place many imprints in our mental continua, at the very least, we can make aspirational prayers. But, instead of moving our minds towards the Dharma, we expect the Dharma to come to us. This is a very arrogant way of thinking. The guru is the source of all the excellent collections, morality or ethics is the foundation of all the qualities, and keeping pure vows and samaya is the source of all attainments. It is not sufficient to leave it at that. One must actually make these conditions come about for oneself. While we have all the favourable circumstances, we should practise right now. When the Lord of Death catches us, it would be too late. At the time of death, we will have frightful visions of the messengers of death. By then, it will be too late to do anything. We talk about and listen to the Dharma but it is very rare for us to put the Dharma into practice. If we practise whatever we know, even if it is a single piece of advice or a single word, we benefit. But if we know a lot but do not practise, then it is useless. Reflect on this: For most of our samsaric existences, we had been circling in the lower realms. This time, however, we have achieved a human rebirth. Not only that, we have even met the Mahayana teachings and, on top of that, we have the opportunity now to study this very wonderful, perfect text by the bodhisattva Shantideva that talks about the deeds of the bodhisattvas. Whether we understand everything in the text or not, we should rejoice at the mere fact that we have this opportunity to simply look at the text. So be happy and rejoice. Listening to the teachings should be done joyfully and enthusiastically from your own side and not out of a mistaken sense of obligation, “Since other people are going for class, I should go too.” This is not beneficial at all. When we engage in virtue, we should be able to decide for ourselves as it would be meaningless for us to depend on others for this. When we know how to think, we should be able to uplift our minds to make ourselves happy. Then, just listening to the teachings alone is, in itself, a joy. On top of that, if we can reflect or meditate on the teachings, then there is even more reason to be happy and to rejoice. We should try not to waste our human rebirth. As mentioned in chapter 1, when we misuse and waste our human lives, there is nothing more foolish than this. It is the worst kind of self-deception. We should reflect on this regularly and, day and night, strive to take the essence of this meaningful opportunity that we have. Not only have we obtained a human body but our faculties and senses are all complete. We have the opportunity to listen to and study Dharma teachings. When we reflect deeply on this, we will be amazed at and rejoice in our good fortune. While all the conditions for us to study and practise exist, it remains up to us to study or practise the teachings. It is questionable whether we will obtain such a rebirth again in our next lives. As the prayer says, “The precious freedom of this rebirth is found only once, is greatly meaningful and is difficult to find again.” Since we have obtained such a rebirth, it is important that we do something meaningful with it. We already find it difficult to practise with all the conducive conditions we have. There is no guarantee that our faculties or senses will be complete or perfect even if we were to obtain another human rebirth. Practice will become even more difficult then. So, we need to study and practise right now. I know many of you recite this prayer, The Foundation of All Good Qualities, on a daily basis but you should not leave it simply at that level. You should reflect on the meaning of the verses, especially the one dealing with the precious human rebirth. By doing so, it encourages you to practise the Dharma. Every day, we can see for ourselves the instability of this human life. We are not immune to sickness. Many people are well one day and sick the next and within a short time, they die and move on to the next life. While we are still healthy, we should not postpone our Dharma studies and practice, as it will be too late to do so when we suddenly fall ill. We may wish to practise the Dharma then but our bodies will not allow us to do so. The same applies to our studies. They should not be postponed. When we have the time, it is good to continue to come to class to listen to the teachings and to apply and put into practice, as much as we can, whatever we have learnt. How will such a perfect opportunity come about again? A wholesome thought rarely and briefly appears. We should contemplate the meaning of these two verses over and over again. Verse 5 describes our situation. It is very rare and difficult for us to generate virtuous thoughts or engage in virtue. Our primary concern is with the affairs of and the happiness of this life. On top of that, it is even rarer for us to generate any interest or aspiration to study the profound teachings of the Buddha. The fact that we do have some interest in studying happens, as said in verse 5, through the power of the blessings of the Buddha on our mental continua. Combined with these blessings is the karma and merit we have accumulated in our past lives which has resulted in our interest in Dharma practice and studies now. If we think deeply about this, it seems almost miraculous that we have the aspiration to study the great treatises and difficult texts of the Buddha’s teachings. Since it has happened, we should not leave it at that. Our aspiration to study must be sustained over time. This is important as we may be discouraged when studying this text, Engaging in the Bodhisattva Deeds becomes difficult, and the thought comes to give up our studies. Practising the Dharma is difficult. Trying to study and reflect on the great treatises is even more so, but the main thing is not to give up, to waste this precious opportunity. Reflecting on verses 4 and 5, we should set ourselves a long-term goal and focus on achieving the happiness of our future lives. There are many benefits of listening to the teachings. One well-known story is that of Vasubandhu and the pigeon. The pigeon used to sit on the roof of Vasubandhu’s house. Vasubandhu, who was a great scholar of the Abhidharma (Treasury of Knowledge), used to recite this text from memory. Simply by hearing Vasubandhu’s recitation, the pigeon was reborn as a human and later also became a great scholar. We are definitely far better off than the pigeon as we can listen to the teachings as well as understand, at least, part of those teachings. Then, in our future lives, we will definitely have the opportunity to continue to study the great treatises. The fact we have the chance to study this great text on bodhicitta now is definitely due to the result of having accumulated virtuous karma in the past. We should rejoice. “This advice is aimed at those who want to study the Great Treatises”: From the onset, Gungtang Rinpoche clarifies that his advice is not directed at Brahma, the worldly god with clairvoyance and the ability to know past and future lives, or the gods of the desire realm endowed with great wealth and many enjoyments. His advice is directed at those who have a clear mind and who aspire to study the teachings of the Buddha correctly. “All of us are now enjoying all the favourable conditions for studying. We have obtained this precious human life of leisure and opportunities. Not only that, we have also met with the teachings of the Buddha. We have met with teachers who can show us the path. Furthermore, we are surrounded by Dharma friends who share the same interests and who are able to support us in our practice. So, all the necessary conditions are here now. When we are in class, we should concentrate and not let our minds be distracted, or worse, fall asleep. Sometimes, we may be overcome by mental distraction or sleepiness due to fatigue but it is important that we do not allow this to happen all the time. If this happens regularly, then we would have slept our way through the five-year program! At the end of the class, if you were asked, “What did you learn today?” your answer should not be, “I don’t know, I can’t remember.” Again, this may happen sometimes because you are tired. But it should not happen all the time. At the end of each session, you should be able to say that you have learnt something. We can say, presently, we have the ideal conditions for studying. For example, you have the company of your classmates, who attend class with you. While these conditions exist, we should try to make the most of this opportunity and pay attention, without being distracted. In the future, it is possible that there will be no teacher, translator or classmates. Then, even if you have the keen interest to study and learn, you cannot do so because the conditions are no longer there. The numerous benefits of studying the Buddhadharma can be summarised in a single sentence: From studying comes the knowledge of what is right and what is wrong. We understand the need to turn away from negative actions by studying the Buddha’s teachings and we begin to engage in positive, beneficial actions. Turning away from negativities is the practice of the ethics of restraint. When we develop the higher training of concentration from hearing the teachings, we will be able to abandon all sorts of meaningless activities. From listening to the Buddhadharma, we can achieve the sorrowless state of liberation through gradually developing the wisdom that realises selflessness. With that wisdom, we can abandon the self-grasping conception together with its seeds. The sun of Dharma has now arisen and is shining on our heads, yet we continue to engage in negativities and inappropriate behaviour. We should really be ashamed of ourselves. Our appropriated contaminated aggregates are actually filled with unclean substances. Yet we cherish them so much and put in so much effort to pamper them. This is also very shameful behaviour. After having purportedly generated bodhicitta, the wish to achieve enlightenment for the benefit of all sentient beings, it is very shameful that we continue to criticise and put down others. We should also be ashamed of the fact that having accepted the Mahayana teachings, we remain separated from compassion and wisdom. And, having entered the vajra vehicle, the Vajrayana, we should be ashamed of the fact that we do not keep our commitments and remain lazy. At this time when the sun of the Dharma has arisen and is shining on our heads, it is very shameful that we remain unable to improve the actions of our bodies, speech and minds through the processes of listening, reflection and meditation. I think the main advice here is to listen to the teachings and practise them with the goal of changing and transforming our minds for the better. There are people who think it is more important not to suffer now, “I don’t care about the future suffering as long as I do not have to suffer now.” This way of thinking is extremely foolish because if we are unable to bear even a small suffering now, how would we be able to endure the suffering of the lower realms? When we look into the mirror and see dirt on our faces, we would remove the dirt. In the same way, the teachings are like the mirror reflecting who we are and the faults we possess, which we need to rectify. This is the attitude or motivation we should have towards our Dharma studies. Just as we should try to clean up the dirty face we see reflected in the mirror, the Buddhadharma points out the kind of behaviour we need to change. Simply knowing our faults is not enough. Feeling depressed or discouraged when we discover our many faults is also not beneficial. We need to do something to change them. Studying and listening to the teachings should not be undertaken grudgingly as if one had no choice, like an obligation or like paying taxes. The Buddhadharma will not be beneficial when one has such an attitude. I think this is the reason why, in the teachings, it is said that one should not teach unless one is requested to do so. It is mentioned in the lam-rim that just as one should have respect for the teachings, one should also respect the teacher. Ideally, one should think of the teacher as a spiritual friend. If this is not possible, at the very least, one should have some feeling of affinity or closeness to the teacher. Respect for the teacher is important, as the purpose of listening to the teachings is to benefit the mind. If one harbours negative feelings towards the teacher, it is very difficult for the teachings presented to be of any benefit to one’s mind. If it is not possible to generate some affinity for the teacher, at the very least, one should listen with a mind of equanimity, i.e., with an unbiased mind. Then the teachings may be of some benefit. That is why the Buddha had advised that one should not teach those who have resentment or anger towards oneself or those who hold wrong views. What are the qualifications of a proper student? The great Indian master, Aryadeva said, in the 400 Verses, that a suitable vessel for Dharma teachings is someone who is non-partisan or unbiased, intelligent and diligent. Being non-partisan means that the student should not be biased, for example, thinking that one’s views are superior to those of others or that others’ views are mistaken. Instead, one should investigate if the teachings given accord with reality or not, accepting them if they do and rejecting them if they do not. The student should also be intelligent, which means, in this context, having the ability and wisdom to discriminate between right and wrong. Simply listening to the teachings is not enough. In addition, the student should also be diligent in seeking out and listening to teachings. Considering these qualities in the reverse order, they work like this: when we are diligent, we will have strong interest in Dharma study and practice. We will make the effort to practise and to listen to teachings. When we do that, our wisdom to discriminate between what is right and wrong will increase and as that wisdom increases, we will also become non-partisan. Without discriminating wisdom, one tends to become more partisan and such bias only becomes the basis for sectarianism as well as conflict among different faiths. All major religions came about to serve humanity and to bring peace and happiness to the world. The religious and sectarian conflicts we see today are not the fault of the religions themselves, but originate from the so-called followers who practise in a mistaken way. Therefore, regardless of the religion that we practise, we must study first. This is advice for those who are engaged in serious study of the Great Treatises and philosophical teachings of the Buddha. 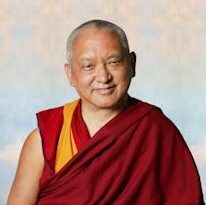 Gungtang Rinpoche advised that it is a mistake to expect, from the onset of our studies, to immediately become an expert in these topics. At the same time, it is a mistake to quickly forget what has been taught. 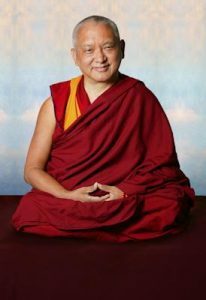 As these teachings are extremely profound, Rinpoche pointed out that we need to put effort into our studies. That effort should be constant like the flow of a river. We will not succeed in our studies if our exertions are erratic and irregular. We need to constantly revise, review and recall what we have learnt. The topics in the earlier, present and future modules of this program are all interconnected. We will not succeed in our studies if we keep on forgetting the earlier teachings even as we listen to teachings on new subjects. The best way to really learn is through discussion. When we are able to come to a firm conclusion on a certain subject, during the course of a discussion, by applying logic and reasoning, this will remain in the mind for a very long time. In terms of what we can get from our studies, 25% comes from listening to the teacher, another 25% comes from self-study and the remaining 50% comes from discussion. Gungtang Rinpoche said: “We put in great effort to listen to and study many teachings but we lose whatever knowledge we had gained to forgetfulness. It is like working very hard to accumulate wealth and possessions and having them all stolen by thieves and robbers. The only way to stop this situation from happening to us is to constantly familiarise ourselves with what we have learnt. Rinpoche’s advice is directed at serious students of the great philosophical treatises. One achieves nothing by constantly forgetting what one has learnt as one progresses from topic to topic. Instead of simply relying on listening to the teachings, where everything can be easily forgotten within months, one should familiarise oneself with what is taught by constantly reflecting on what has been taught, thinking about the teachings and analysing the texts. The greater the familiarity, the less likely one will forget what one has learnt. This analogy can be applied to our Dharma studies and practice. Trying to study and practice the Dharma is not easy. But it is wrong to postpone doing so. Putting off studying a difficult text during the Basic Program essentially means that studying it will never happen. Also, when we have all the conditions gathered here, we should apply ourselves to our studies because one never knows whether the opportunity will come again. When we listen to such advice, it is not sufficient to say, “O.K. I will do it.” And still nothing gets done. That is pointless. The main thing here is to try our best to listen and study. Everyone is different as all of us have accumulated different karma. When it comes to studies and practice, therefore, some will encounter more difficulties than others. When such obstacles arise, we have to think, “This is the weapon of my own evil deeds coming back to me.” Thinking in this way, it no longer matters whether we understand everything or not as long as we have tried our best. There are some people who are prone to discouragement and disappointment. There is nothing to be said if you are discouraged from the start, without even having tried to put in some effort. But when you really try and you still don’t understand, something can be done to build up your self-confidence. How do we know that it is a mistake to postpone our studies and practice? We grow older with the passing of time, not younger. As we age, our intelligence, mental agility and clarity decline. If we cannot study and practise now, how is it possible for us to do better in the future? Gungtang Rinpoche said that we spend 20 years of our lives not thinking about the Dharma and another 20 years, thinking, “Oh, I must practise the Dharma,” but never doing anything about it. Then we spend another 20 years not being able to practise the Dharma, at the end of which we think, “Oh, I didn’t get to practise the Dharma after all.” In this way, we waste our entire lives. When we examine our own lives carefully, we can see this describes our situation exactly. In the beginning of this module, we did not think of studying. Then we decided we needed to study, yet we did nothing about it. It is your responsibility to ensure that what Rinpoche said does not happen to you. You have to make sure that this opportunity does not go to waste. You must pay attention when listening to the teachings. Otherwise, even though physically, you spend five years attending classes, you end up knowing nothing. It is important that you try your best to pay attention when you are in class. Whenever you deal with more challenging topics, you must pay attention right from the beginning of the class because the material is all inter-connected. The more you concentrate, the more you will learn. When you have been attending teachings for some time, especially those who have attended many teachings, you may be present physically but the mind is distracted. It is like that, isn’t it? When you listen to songs, the mind is always concentrated but when you listen to the teachings, the mind is easily distracted. Over time, your attitude towards listening to the teachings becomes more flippant and that is not good. There are also students who have unrealistic expectations. They expect to understand everything they hear there and now. This is impossible. What is needed here is perseverance. With those expectations, when they do not understand a few words, they get upset and uptight. This is pointless. If you really want to learn, then you must persevere. Guntang Rinpoche advised that just as it is important to practise contentment in our daily lives, to be satisfied with who we are and what we have, practising contentment is also applicable to our Dharma studies. We are all different - different parents, different genes, levels of intelligence and so forth. We should not expect to have the same results as others but should study according to our own level and be happy and content with what we achieve in our studies. Some students may feel disappointed or discouraged when, at times, they do not understand the lesson. When that happens, one needs to reflect on contentment – to be happy with whatever one has understood. It is the same with material wealth and possessions. Some people are wealthier than others. It is also important to think about contentment in that situation. These differences in levels of intelligence, wealth, etc. are the results of different karmas. Some people put themselves down by thinking they are hopeless and incompetent, incapable of doing anything. This happens to a lot of people. It is completely pointless to do that. When one is already facing difficulties, there is no need to generate more problems for oneself, thinking, “I am so stupid” and so forth. How does that help to improve the situation one is in? We have to accept ourselves for who we are. Instead, we should think, “I have achieved what I wanted to do,” and be happy and satisfied with that. This is a city centre. Everyone is busy with their personal and work commitments. After a long day at work, we travel all the way here, twice a week, for classes. But it is only twice a week, for two hours per session, unlike in the monasteries where the monks can study full-time. That is their job. When we compare ourselves to these monks, obviously, we are far behind them. But we shouldn’t put ourselves down. Rather, we should praise ourselves, recognising and accepting the limitations that come with being a city centre. We should be content with what we have achieved. Practising contentment in this way brings happiness, peace and bliss. It is particularly helpful when we are studying together and we find some classmates being able to understand what we cannot. This is from my own experience when I was studying. Sometimes, when I saw other fellow students understanding certain things that I did not understand, I felt discouraged. At that time, I reflected on how all of us have different karma and felt happy with what I did understand. Thinking in this way helped me a lot. We have been reciting verses from the root text after reciting the Heart Sutra. I thought this recitation will be beneficial as (1) it helps us to familiarise ourselves with the verses over time and (2) since this is a special text composed by the great bodhisattva Shantideva himself, simply reading and reciting the text generates great merit for us. In the monasteries in South India, it is customary for the monks to gather and recite prayers for a few hours before any debate session, making strong requests for success in their studies and debates. In the same way, we need to make extensive prayers for success in our studies. In the great monasteries, there is a saying passed down from generation to generation that it is unnecessary for monks to perform special rituals or pujas to clear obstacles in their studies, as long as they apply themselves seriously to the recitation of the preliminary prayers made before the debates or when they gather to do prayers together. The monks are advised to set a good motivation and reflect and contemplate carefully when they do such recitations. Doing that alone will clear all the obstacles that might arise during the course of their studies. We may wish to study and practise the teachings of the Buddha, but there are so many kinds of obstacles - outer, inner and even secret - that can occur. The best way to pacify these obstacles is to make very strong prayers combined with the very strong determination to continue one’s studies. It is possible that, sometimes, when reciting these preliminary prayers, we may get bored or consider the prayers to be a chore, failing to see why we are doing them. You should understand now that these prayers and recitations are very beneficial for us. In fact, since this text is composed by the great bodhisattva, Shantideva, the benefit and merit that one accumulates simply by reciting this text is inexpressible. We should remind ourselves of this when we recite the text or prayers, and perform them enthusiastically. From the time we start reciting the Heart Sutra till the end of the lesson, when we dedicate the merits, this can all be considered virtuous action. We should do whatever we can to make the lesson enjoyable for ourselves from our own side and to engage in our studies enthusiastically rather than thinking that we are doing this out of obligation and without a choice, like paying taxes. Guntang Rinpoche advises that during these degenerate times, when our minds are weak and we have so little merit, we need to rely on and make special requests to the deities and Dharma protectors, accumulate merit by doing practices such as prostrations, mandala offerings and so forth and purify our minds of obscurations by relying on the four opponent powers. These are the necessary supporting conditions for us to be able to continue and to have success in our study of the Great Treatises. Intelligence alone or simply favourable conditions do not necessarily guarantee that one will complete one’s studies. We also need to rely on accumulating merit and purifying the mind from obscurations, as well as making fervent requests to the merit field. During the course of one’s studies or practices, one will meet with all kinds of external and internal obstacles in the form of sicknesses and so forth. Therefore, it is important to make single-pointed requests to the merit field. However, the main thing that will see one through one’s studies is one’s determination and enthusiasm for studying. Without such enthusiasm and determination, one may continue to come to class but, over time, one’s interest will wane. Furthermore, without such enthusiasm and determination, making prayers may not necessarily be helpful. Gungtang Rinpoche advised that when studying the teachings of the Buddha, we must study texts that are unmistaken and free of error, as the bases for our analysis and investigation of the teachings. We should check whether the contents of these texts accord with the great philosophical treatises. Relying indiscriminately on texts that do not accord with what is found in the valid texts and Great Treatises will only cause our wisdom to decline. We are not saying here that one cannot read commentaries or texts that offer a more accessible explanation. But those texts must accord with what is found in the valid texts and treatises. Sometimes, we may find certain texts easier to understand without first checking their validity. Whatever texts or commentaries we study, we should be able to trace them back to the teachings of the Buddha. Whatever we read should accord with the great commentaries composed by the great Indian and Tibetan masters of the past.